Experience the amenity-rich city living of this 4-story townhome located in the exclusive gated community of Austin Isabella Court by InTown Homes. The home’s Midtown location is minutes from Montrose, Downtown, Museum District, & Texas Medical Center, & features a brick and stucco elevation, open entertaining spaces, elegant finishes, hardwood flooring, plantation shutters, granite countertops throughout, upgraded Shiloh cabinets in the kitchen and master bath, & game room that could function as an additional bedroom. Soak in the breathtaking views of the Downtown skyline from the spacious rooftop terrace and covered balcony. The gourmet island kitchen boasts top-of-the-line Bosch stainless steel appliances & wine cooler. Enjoy relaxing evenings in the master suite with his & hers walk-in closets, dual vanities, tub, & frameless shower. 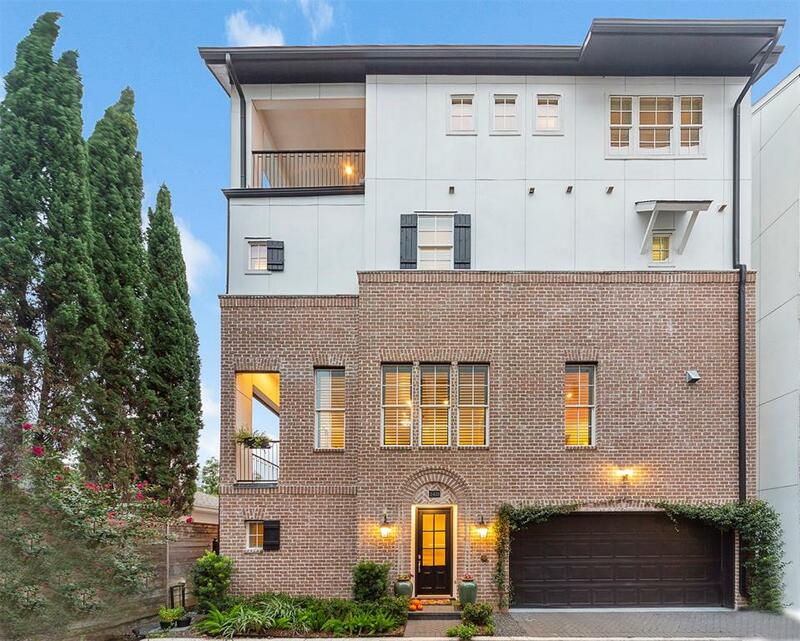 Prime location near some of Houston’s most popular coffee shops, restaurants, weekend spots, and night life. You’ll love what this home has to offer!